Looking for a fun way to celebrate your birthday or fancy something a bit different for a hen party? We have a range of workshops that will show you how to make your own products from herbs and natural ingredients. We can host your party at our studio or garden, come to your house or find a convenient venue for your group. Half day, full day and after work options are available for all our sessions. Learn how to extract the skin nourishing properties of different herbs by infusing your own oils. We'll guide you through the steps to make your own skin products using ethically sourced natural ingredients personalised with your choice of essential oils. You will get to make a set of your own balms, scrubs and lotions to take home. A beginner's guide to the traditional method of cold process soap making. 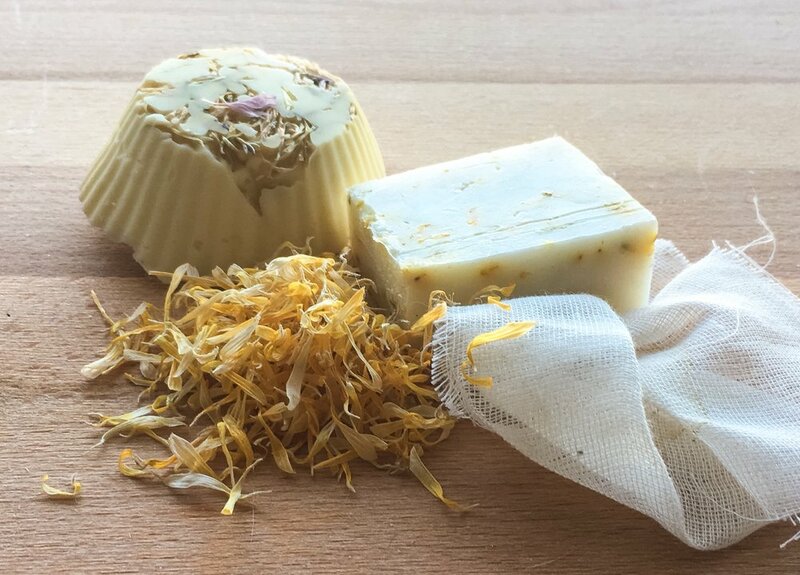 The workshop will demonstrate the whole process and you'll get to decorate your own set of herbal soaps and leave with the knowledge and confidence to continue making your own soaps at home. During this workshop we will share with you our top tips for blending your own herbal tea. We'll go through the basics of how we turn herbs into teas and you will get to sample some of our favourite blends. We'll show you how to make unique herbal brews with different properties and you'll get to make your own personalised tea bags to take home. If you are looking for something a bit different we can work with you to design a bespoke event. We have lots of other topics relating to herbs we can deliver so please get in touch to find out more about a more personally tailored option.